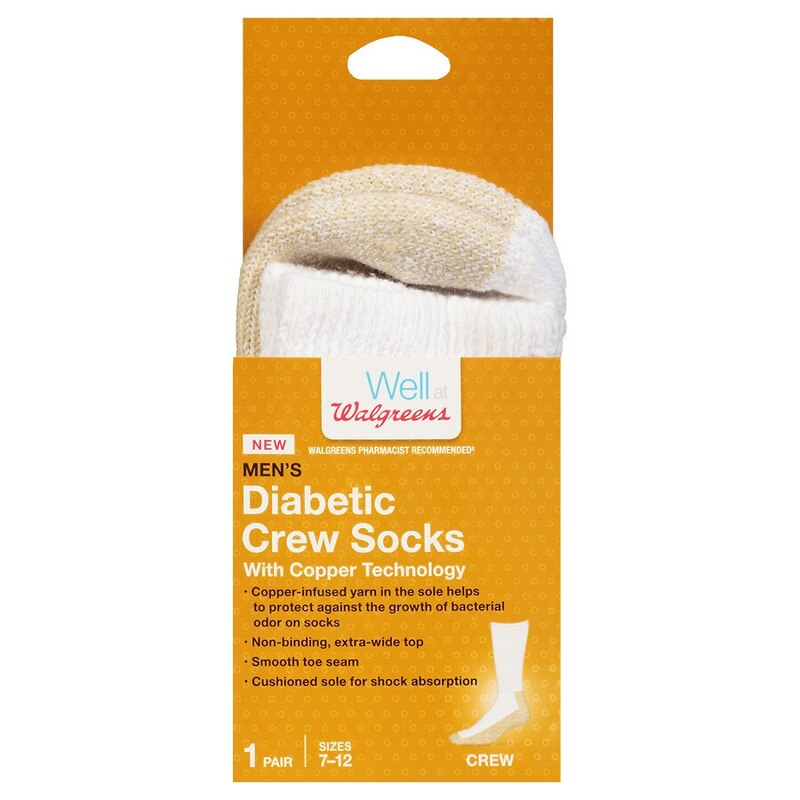 Copper-infused yarn in the sole helps to protect against the growth of bacterial odor on socks. Non-binding, extra-wide top. Smooth toe seam. Cushioned sole for shock absorption. Washing: Machine wash warm. No chlorine bleach. Do not use fabric softener or laundry detergent containing silicone compounds. Tumble dry medium. Do not iron. Do not dry clean.